IT as a Service (ITaaS) will transform future IT operations and service delivery. In the interim, Hybrid IT offers a rational, gradual approach in which some services move to SaaS while others remain on-premise. 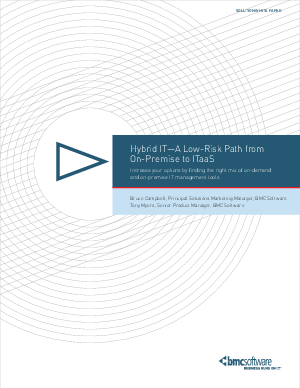 This white paper provides a strategy to move part or all of your ITSM suite to the cloud as a stepping stone to ITaaS.